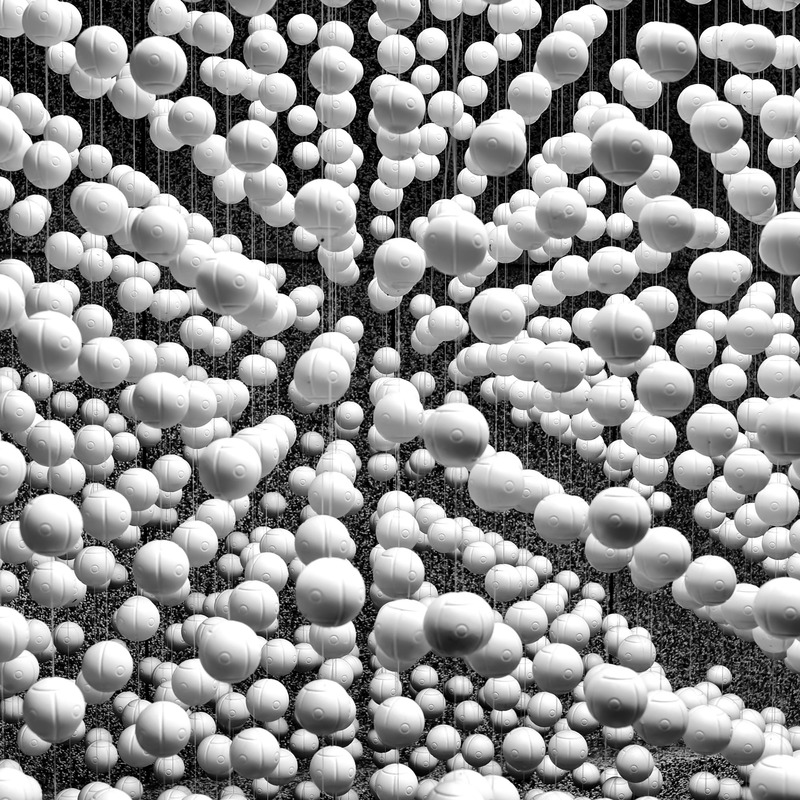 I went to the zoo and came back with a photo of styrofoam balls hanging from the ceiling. It’s not really what I expected to come home with as my favorite photo, but it did prove that you can’t predict what you will end up with after a day’s outing. In fact, the other photo I decided was a keeper was of people, not animals, but people leaning over the rail to get just a little closer to some monkeys.